Runner up nod goes to Bally Bow and Arrow. I like my Mustang Pro with the tach mod. The spinner rips and the tach needle goes crazy. I've had it up to about 7500rpm. I feel that way about High Speed. Light the spinners, nail the orbits repeatedly, and finally rip the "escape" spinner! 3 spinners going at once. Ah...it doesn't get a whole lot more fun than that. Yep. Or when you can keep one lit spinner ripping across 2 or 3 shots continuously! That game is therapy for me. Of the games I've owned it was JM. Easy answer: Pinside Test Machine! Necro'd thread but still a good read. One I didn't see listed and probably because very few get to play it is Andromeda. Scoring is all spinner but the work required to build that spinner is great as well. The game rips! Best spinner game is also the pin I have won the most games on. Evel Knievel SS version it also has to do if the spinner is tight or not. I have seen some that you hit the spinner and you only get a couple of clicks out of it. Gotta second this one. Plus if you hit the left one nicely it will "rip" the upper right spinner as well for a Orbit score and advances the left spinner for next time. Yup, keep hitting that orbit on Blackout enough and you get the extra ball lit at the saucer. Getting conditions Green+Red+Yellow for Blackout mode ready is not that hard, but escalating the spinner sure is. Been enjoying that recently -- I modded my Blackout with a playfield protector since so many of the inserts were cupped. It plays zippy fast and smooth now, better than brand new. Firepower! Because every point is counted, a good ball will cause a delay in the scoring. After hitting the spinner hard it's fun to see and hear the score advance seconds later. The spinner on Night Moves ! Old Chicago, when you hit the spinner right and the ball goes into the kickout hole on the left. You get to enjoy the spinner chime for several seconds, very satisfying! I like hitting the spinner in Embryon. There are no spinners in pinball that compare to any that ring mechanical bells or chimes as they go around. Some of those are certainly better than others for sure. As far as spinners that ring bells, the options are few as bells went away around 1970 so I give that one to Fun Park. All that being said, I'm going with Stern Stars, an early solid state with a 4 chime unit and 2 ripping spinners designed by Steve Kirk who coincidentally also designed Fun Park. I love the 3 spinners on Iron Man. Also love the spinners on Met. The spinners on Spider-Man and Star Wars are surprisingly awesome. Imdn center spinner feels pretty damn Rightous... between spinner meltdown initials or some of the modes shot stacking.. I ripped the center spinner the other nite to the tune of 1 million per spin for 40million points!! Haven’t had or played another game that I personally can compare it to! Meteor with all the lights light. Also, The Hobbit. So cool watching your progress move forward on the map with each spin on the way to Erabor! One of the worst and waste of a spinner is Checkpoint - doesn't matter in it spins 1 or 50 times you still get 1 award . I always screw it up though. I can't believe nobody mentioned Dolly, hit the first stack target and rip the spinner. Simple game but so satisfying and pretty much all there is to it. We always play dollar games on Dolly, pinball reduced to two shots, should be easy right. 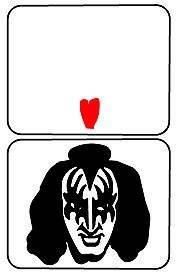 Any Steve Ritchie games, High Speed, Black Knight, Firepower (when lit is the best spinner sound) and Star Trek: TNG! I always liked the WCS spinner when lit for Ultra Spinner. At 1 mil per spin, a solid shot could easily rack up 20 mil. 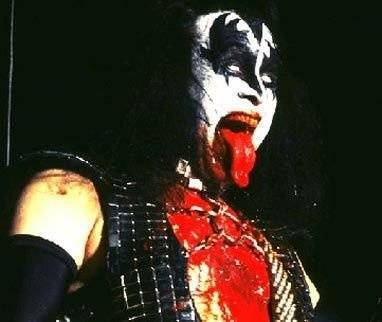 KISS has the best spinner, I mean come on Gene Simmons bloody tongue! The Bally EM's spinners have a supper satisfying "clack" when they're spinning that makes hitting them super fun. See: Knockout.